Entice is releasing the “Dragon Queen” gacha at the debut round of The Imaginarium event. 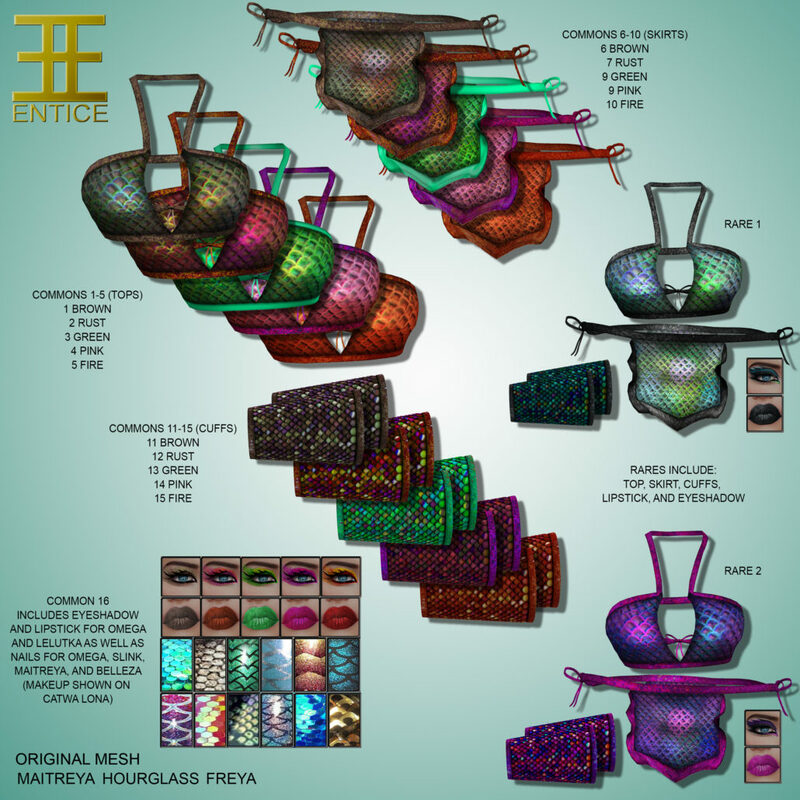 The set comes in Maitreya , Slink Hourglass and Belleza Freya sizes. There is also makeup in the set which works with Omega (designed on Catwa head) and Lelutka heads. There are also nails that work with Maitreya, Slink, Omega and Belleza hands. If you play over 20 times, you will also get the “Gift of Imagination” which includes a special set with a top, skirt, arm cuffs, eye shadow, lipstick and nails! You can also purchase some of our single sale items to total your 20 plays. The Imaginarium starts on the September 1st! http://entice.fashion/wp-content/uploads/2017/08/The-Imaginarium-Logo.png 256 1024 Jolene http://entice.fashion/wp-content/uploads/2016/11/NEW-ENTICE-LOGO-Header-3.png Jolene2017-08-31 01:30:242017-08-31 01:32:02Entice @ The Imaginarium!